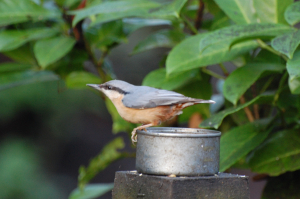 Observation - Nuthatch - UK and Ireland. Description: Perched on feeder and going down a tree head-first.Black eye stripe. Perched on feeder and going down a tree head-first.Black eye stripe.